It is sometimes helpful to produce a report that is segmented or subtotalled on some value or range. 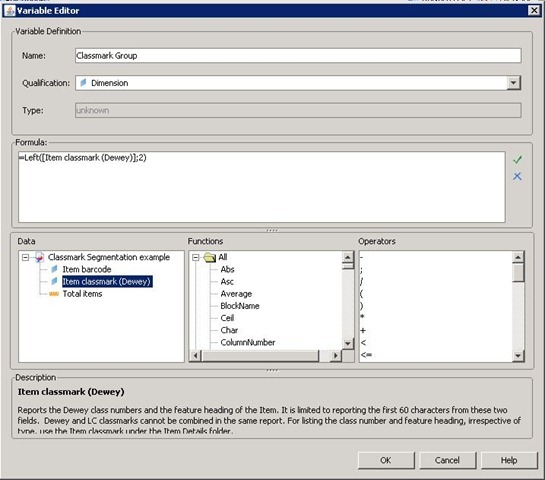 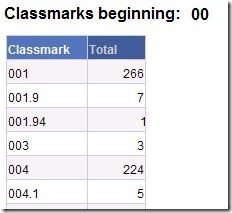 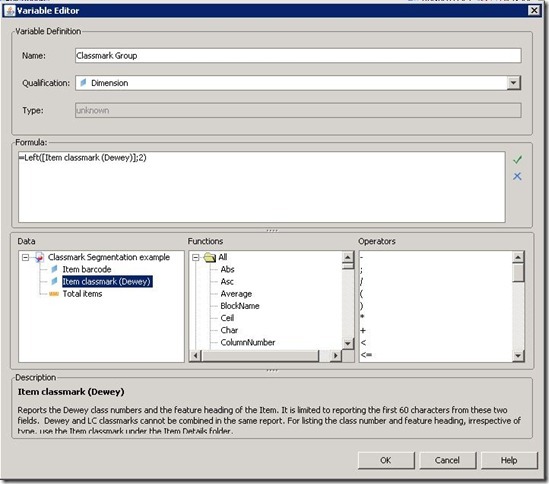 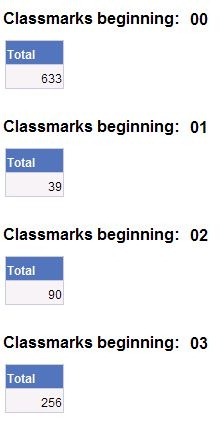 This example illustrates how to segment a report based on classmark. 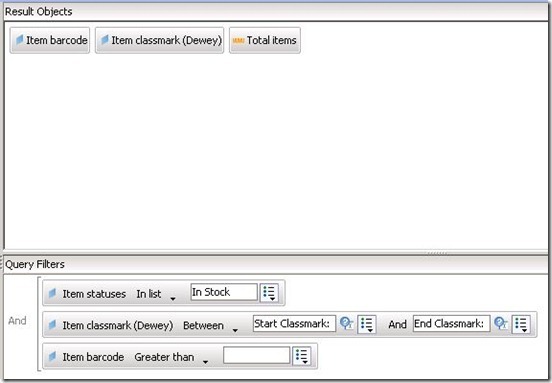 This should return, as a minimum, the classmark and number of items in the classmark. 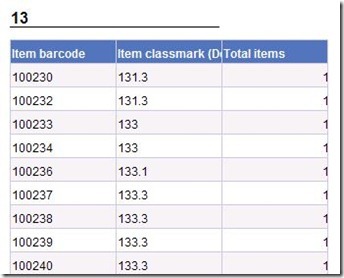 This example also returns the barcode so that we can do a detail report tab with the actual item barcodes listed. I’m not interested in anything with no classmark. 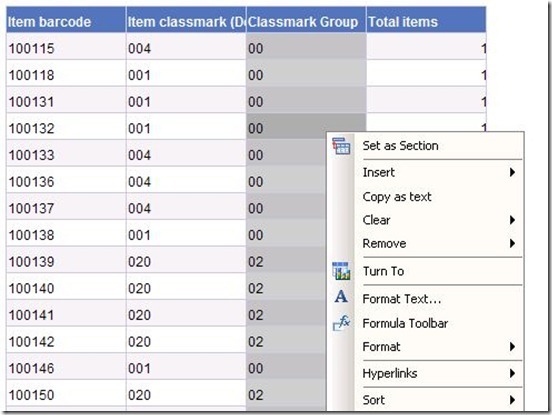 This query will not return anything with a null classmark, no matter what ranges are used. 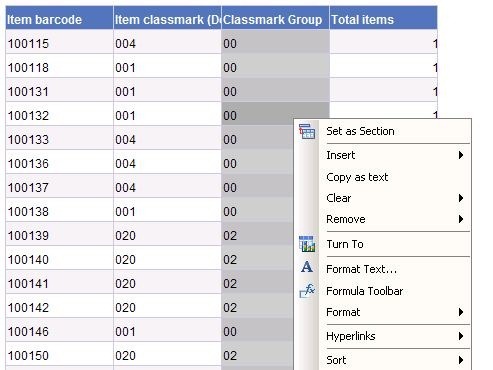 Copy 3 was a detail tab. 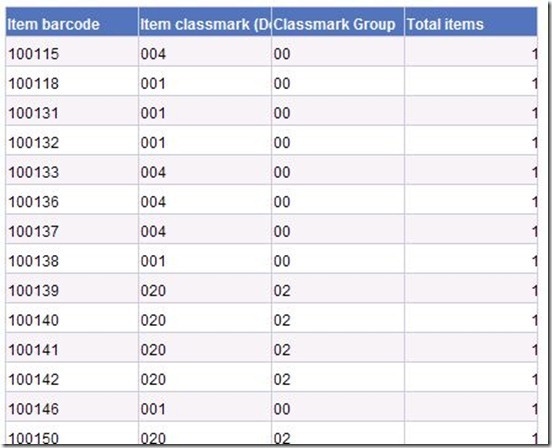 It listed each barcode and it’s associated classmark, again segmented by classmark group. 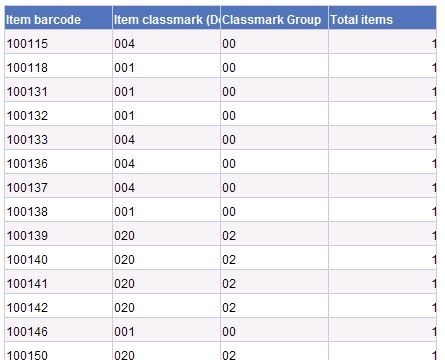 The item column was redundant and I swapped the barcode and classmark columns simply because it looked more logical that way. 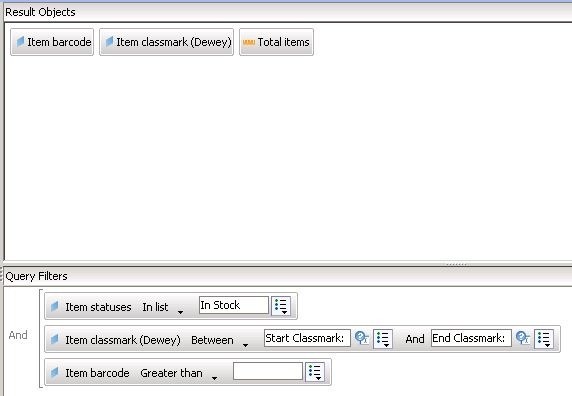 Note that this report tab could be huge: it essentially has one line for every In Stock item in the selected range. Note also that this is all done from the same query refreshed once in this example. 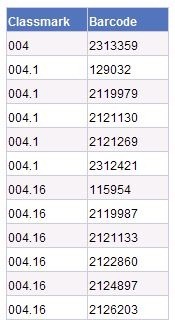 You should need neither multiple Web Intelligence documents nor multiple runs of the same document to get the kind of output illustrated here. 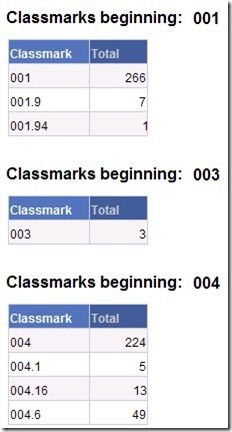 Please do leave a comment if this is helpful – or if it isn’t! 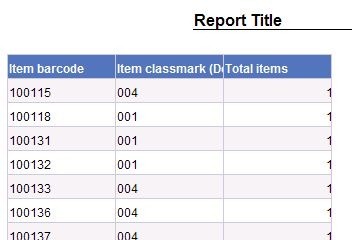 Glad it was helpful Iain. 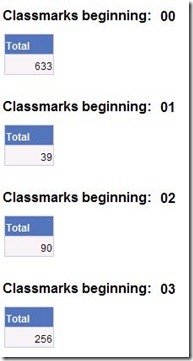 Did the approach work OK for you?